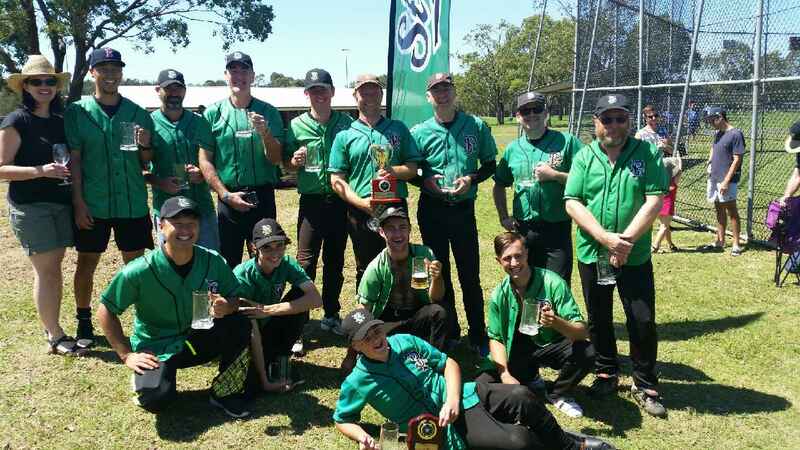 Congratulations to our 4th grade senior team who won their grand final match over Bonnet Bay on 11 March 2018. Wade Huthnance was named MVP in the Grand Final match. Congratulations to our 4th grade senior team who won their grand final match over Canterbury on 20 August 2017. Joshua Walker was named MVP in the Grand Final match. Special thanks to Zita Percival and Veronica Henniker, our scorers for the season. Andrew Powell was named MVP in the Grand Final match. Special thanks to Heide Torr, our rookie team scorer for the season. Minor Premiers. Lost two games all season. The first game of the season in 5th Div. against Scots who were also promoted to 4th Div. (They ran last and went 2-8 in Div. 4 - go figure!) The second game we lost was close to season end against Sharks when we only had 8 players. This loss simply keyed us up for the finals! Revenge wasn’t long coming with a relatively easy win in the 2nd Semi Final. A constant question I’d been asked all season was - “how come you guys were in 5th Grade?” Well, simple really, in our team we had - 1 player straight out of Juniors (but very talented), 1 player who had never played before (excluding T Ball in Primary School), 2 players who had played one season with no junior experience, 2 more who had not played since juniors (one for nearly 10 years), another who was a walking medical marvel (sorry Paul), and some “experienced” players who were sort of in the right grade. And we managed to sign up a fill in player who’d only play when we were short. How did we know how we would go? After losing 1st round it looked like we might be in the right grade - NOT! We simply improved week after week, got to know each other and gelled into a tight outfit who backed each other up week on week. One of my toughest tasks was to get the team to shut up in the dugout and concentrate on the Game!! We’d only played Bonnet Bay once all year due to the vagaries of the weather, the draw and being bumped up a Division, but expected a tough game. That team has a bit of a history, has a wily pitcher to challenge us and had dealt with Sharks pretty easily in the Final. When we had broken away to an 8-3 lead it was fairly comfortable and I think we might have relaxed a bit. A mistake, as Bonnet Bay came back at us and we struggled a bit with the bat. Andy Powell had done a great job with the ball for 5 1/3rd innings and 86 pitches so it was time for a change. We went to our pitching depth in the “Ice-Man” Mick Hansen. 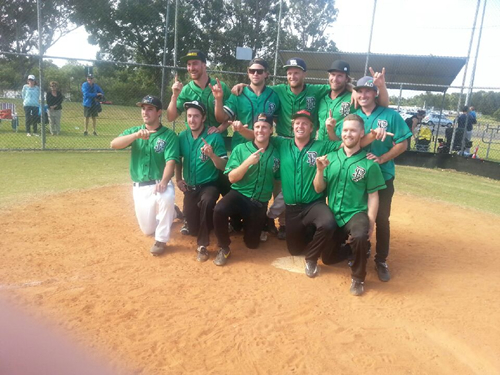 25 pitches later, we didn’t have to bat again and the 4th Division Premiership was ours! The runs we scored early were pivotal in our win, but again our fielding was a highlight. Outfield catching was superb over the two finals games and infield was solid as a rock. Over 14 innings, we made 4 errors which, given the state of the grounds we played on and the fact that were playing 4th Grade, was a terrific effort. Another feature worth noting was only 5 passed balls from our catchers in 14 innings - superb effort from Chris and Bernie. Two runs in 1st 2 innings set us up. A rock as catcher and some good plays on 1st. RBI triple in 1st got us going, ball magnet at 2nd. Super pitching over two finals game - not bad for a fill in! 1st year player at SS, zero errors, 3 from 4 batting!! Sensational scoop and throw at 3rd at top of last - crunch play! Outfield catching and fielding absolutely super. Caught 8 innings over two games and made pitchers look great. 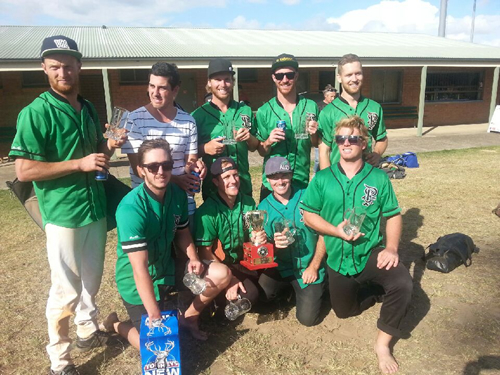 Sensational bats at 9 and brilliant closing pitcher in GF. Catch of season in 2nd Semi against Sharks. (AKA working on ulcer) GP has diagnosed no permanent damage! Performed for us all season, work got in way for GF. Too much family and social life in finals, but there when we needed him during the season! 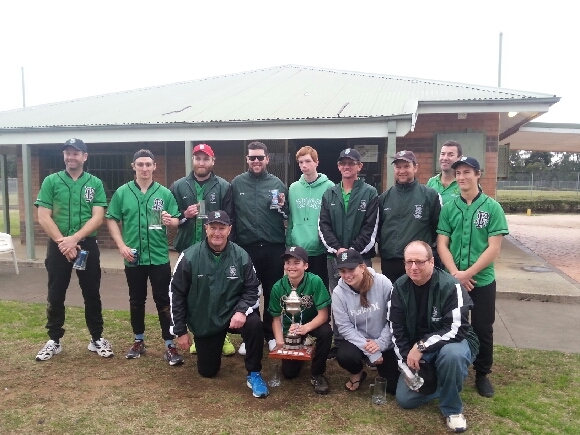 Congratulations to our 5th grade senior team who won their grand final match over the Cougars on 15 March 2015. A team member from the opponent side was named MVP in the Grand Final match. Special thanks to Eliza Monaghan, our team scorer for the season. As the sun rose on a glorious Sunday morning, the cauliflowers woke up to somewhat of an enormous hangover … but hey, that was nothing new, it’s when the cauliflowers play their best Baseball! So we all jumped in a mini bus and arrived out at a little place called Kelso. Like every other game during the season, we decided not to warm up. Not that we didn’t have time for it, we just didn’t want to ruin our regular routine. We were up against a red hot Cougars team who were favourites all year, and rightly so, they had some quality players compared to our team who are just a bunch of mates with six new to the game. Despite the nerves, we secured a nice 4-0 early lead, with our best batting and fielding performance all year. However, the Cougars clawed their way back midway through the match and eventually took a significant lead - we went into the 7th and final dig down 10-6 and for most, they probably thought it was game over. But something was brewing, and from out of nowhere, there was one big almighty rally. Our designated hitter Andrew Lee led us off brilliantly and got us on a roll with a few RBIs to follow from some of the fellas. At 10-8, Reece Carter stepped up to the plate and smacked a home run over the fence against the wind to tie the game at 10-10. With the help of Liam O’Dowd and his bung shoulder (reconstruction) he played through the pain and gave up his obvious bunting technique to take one for the team and actually swing at the ball. We nudged in front 11-10 going into the bottom of the seventh and wasn’t the crowd pumped! The momentum was now really egging the boys’ home. Like a wet sail, we rallied again. Our closing pitcher Mitchell Moore couldn’t have thrown a better stint. He struck the first two batters out and then Carter took the winning catch deep in the outfield with an absolute pearler and the boys carried on a treat with a full blown stacks on! A true fairy tale finish for a bunch of best mates that you seriously can only dream of - some of us have been in a few different grand finals before, but this one was easily the best we’ve ever been a part of! But hey, don't take our word for it. The umpire even called it the ‘Game of the Century". We’d like to thank Ivan Connors for his help all season. As always, he was a great support and helped us out with anything we needed. 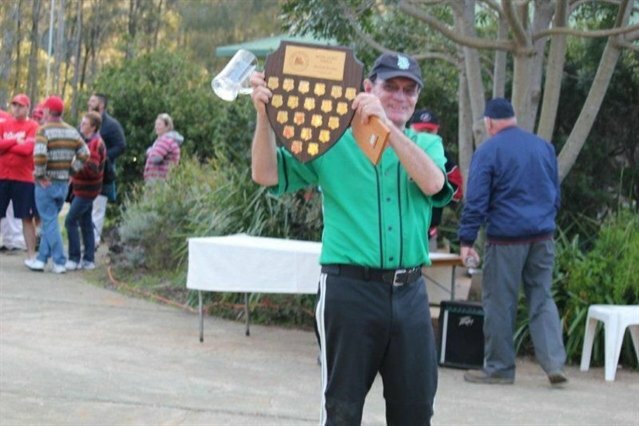 A true champion and person who dedicates so much time to the St Pats Baseball Club! 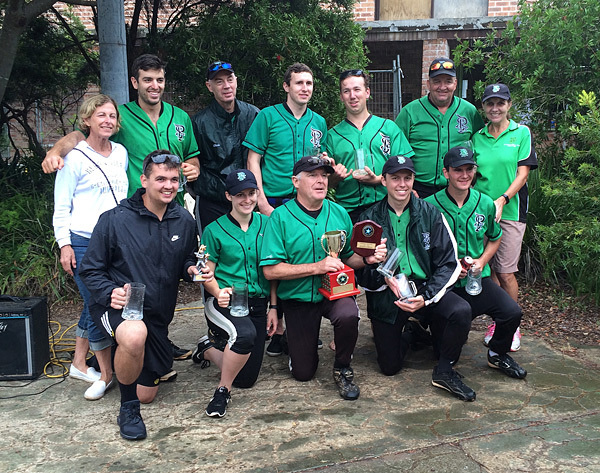 Congratulations to our 7th grade senior team who won their grand final match over the Cougars on 15 March 2015. Tyron Wall was named MVP in the Grand Final match. Special thanks to Lisa Brown, our team scorer for the season. With the score tied at 13, Blake Magnus came to the plate and singled, plating Tyron Wall. Magnus racked up three RBIs on four hits for St. Pats. Offense was not hard to come by on Sunday, as both teams combined for 27 runs and 31 hits, including four extra base hits. St. Pats easily handled Cougars pitching as six hitters combined for 14 hits, 10 RBIs and 13 runs scored. The top of the first saw Cougars take an early lead, 8-0. Claire Franklin singled to ignite Cougars' offense. Mathew Biber singled, bringing home Michael Crimlisk. Cougars added more runs when Franklin scored on a walk by Scott Bushnell, Hayward, Biber and Bushnell scored on a three-run double by Mark Corey, Corey and Christie scored on a two-run single by Michael Crimlisk, and Foldi scored. St. Pats scored three runs in the first inning, and then followed it up with three more in the sixth. In the first, St. Pats scored on an RBI single by Matt O'Dell, scoring Andrew Thompson. 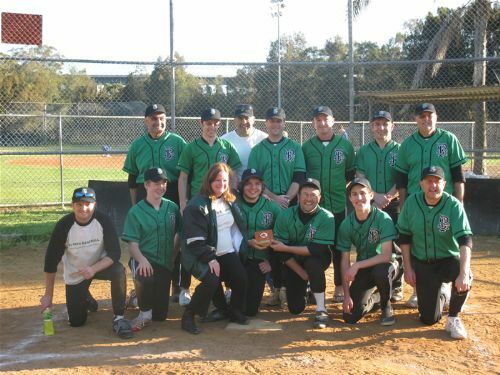 St. Pats brought home two runs in the second inning, and matched that run total in the fourth. In the second, St. Pats scored, bringing home Wall. St. Pats scored four runs of its own in the third. St. Pats scored on an RBI triple by Mitch Foster, an RBI single by Conor Riordan, an RBI single by Wall, and an RBI double by Magnus. St. Pats didn't give up the lead after the sixth inning. Additional runs came from two singles. Unusually supports were cheering on a Hit by Pitch, as one of their own Will Thompson finally took one for the team. 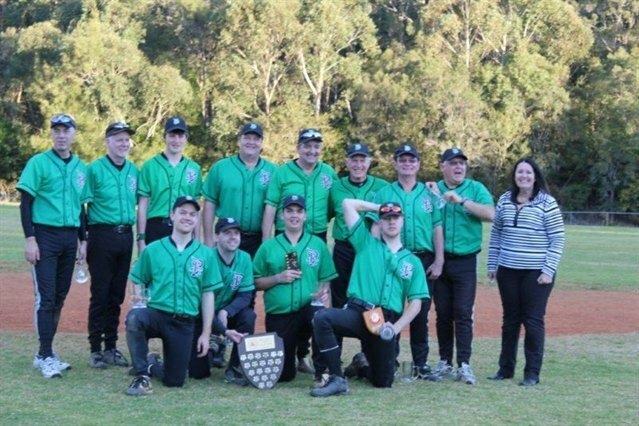 Congratulations to our 5th grade senior team who won their grand final match over the Yarrawarrah Tigers on 30 August 2014. Jason Mogensen was named MVP in the Grand Final match. Special thanks to Matt Ray, our team scorer for the season. 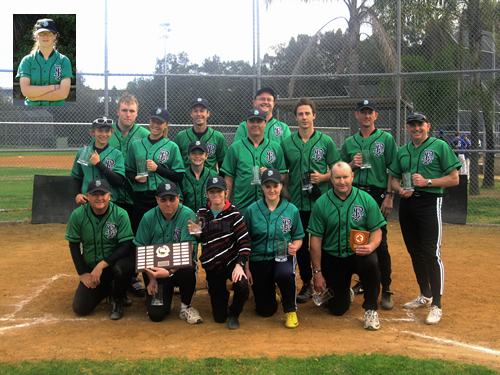 Congratulations to our 7th grade Green senior team who won their grand final match over St George Leagues on 26 August 2012. Special thanks to Sandy Carney, our team scorer for the season. Middle of the 1st score 0 – 8 = We were entitled to be a bit down, not only did they score 8 runs but they took out our starting pitcher & our reliever threw something like 30 pitches to get them out. Bottom of the 1st – Score = 2 – 8, But we were in a position to score a few more & we didn’t, they are entitled to feel on top of the world. Middle of the 3rd – Score = 3 – 15 and they’ve chewed up our 1st relief pitcher. At this stage, I’m pretty sure that they were thinking 5 innings & Mercy Rule. I know that I certainly was contemplating the possibility. I was also thinking where to go with Plan’s C & D as Plan’s A & B have just gone by the wayside. 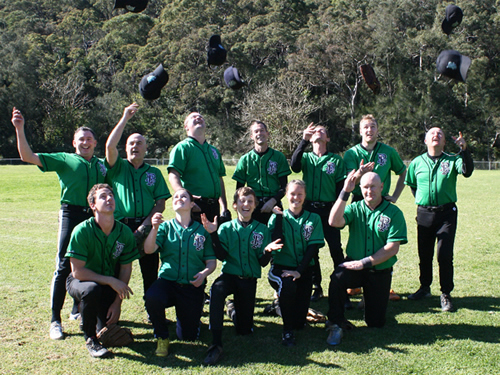 We do a terrific job in putting on a 10 run innings, putting away their lead-off pitcher (who had thrown 5 against us in home & away and 7 against the Blacks last week) & at last making a game of it, 13 – 15 had us in with a fighting chance. Top of the 4th, they score another 4 runs & pull away to a 6 run lead & the possibility of that Mercy Rule coming into effect raises its ugly head again. They’ve just put 19 runs on us in 4 innings; no-one all season has done that! Bottom of the 4th, we really need to score about 4 or so to stay in the game – with 2 runs scored & 2 runners on it looks good, but then bang – bang 3 out & we’re still staring down the barrel! At this stage the old saying kicks into action – you know the one – “When the going gets tough the tough get going”! Andy dishes up a pearler of an innings, we hit the ball again to score 4 and tie up the game. Andy repeats the dose in Innings 6 & 7, we score 1 in the bottom of the 6th (again it could/should have been more – Why oh why does the ball hit in the vicinity of the least mobile player on the field go straight down his throat – he didn’t need to move more than 2 or 3 steps!!!!) and that 1 is enough for the win. We’ve come from being 0 - 8 & 3 – 15 down to pull out a fantastic win. 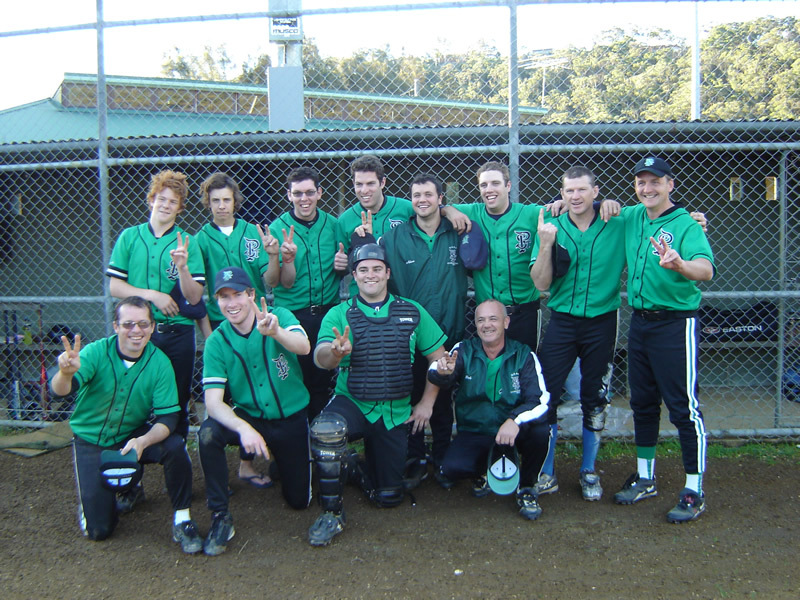 Congratulations to our 8th grade senior team who won their grand final match over Bonnet Bay on 21 August 2010. Joel Leslie was named MVP in the Grand Final match. Our 8th grade team was born from new beginnings in 2010. Coming together for the first time, there was much excitment and anticipation particularly after their convincing pre-season game win. As the weeks passed by, the teamwork fell into place and improvements were seen right around the field. Towards the end of the season they were regular winners and the finals beckoned for them. The team finished 2nd behind Bonnet Bay at the end of regular competition and ultimately played that team in the Grand Final. Some great individual efforts throughout the season but the teamwork really delivered the Premiership in the end. The MVP award went to Joel Leslie for demonstrating great skill and playing consistency. 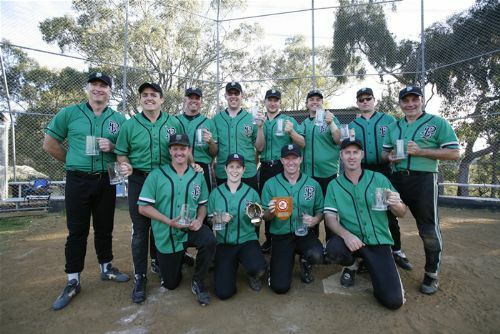 Congratulations to our 6th grade senior team who won their grand final match over the Comets on 30 August 2009. Karen McKerlie was named MVP in the Grand Final match. 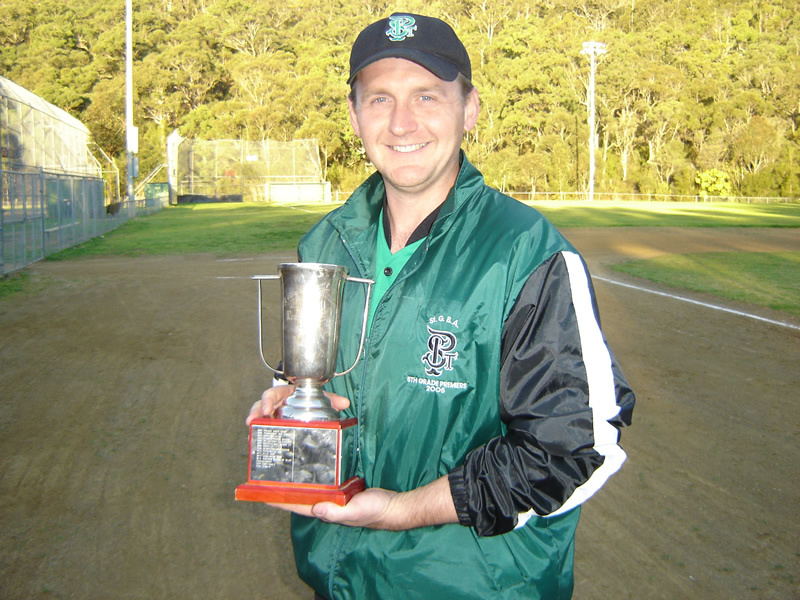 Congratulations to our 7th grade senior team who won their grand final match over Bonnet Bay on 30 August 2009. Jeff Cook was named MVP in the Grand Final match. Special thanks to Sue Anderson, our team scorer for the season. 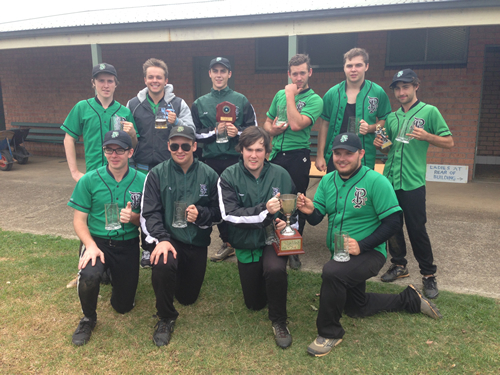 Congratulations to our 4th grade senior team who won their grand final match. Nathan Manns was named MVP in the Grand Final match. Congratulations to our 5th grade senior team who won their grand final match over the Cronulla Sharks on 21 August 2005. Adam Camilleri was named MVP in the Grand Final match. Congratulations to our 4th grade senior team who won their grand final match over Arncliffe Scots in March 1994 at Phil Austin's grounds (in the pouring rain). TBA was named MVP in the Grand Final match.